At the end of March, a federal court delivered a victory to the Law Center and its pro bono partner and LEAP member, Akin Gump Strauss Hauer & Feld LLP, when it ruled that the City of Dallas may not enforce a law that prevents religious organizations from providing food to homeless persons living outdoors. The Law Center’s Civil Rights Attorney Heather Maria Johnson partnered with Akin Gump attorneys in Dallas to represent two religious organizations and one volunteer in their challenge to the city ordinance. Offering food, services and companionship to poor and homeless people is an integral part of the groups’ ministries. We caught up via e-mail with Andrew Newman and Lizzy Scott, Akin Gump attorneys who worked on the case pro bono, to talk about their experience. IJT: Tell us about litigating the case. Did it become emotional for you? 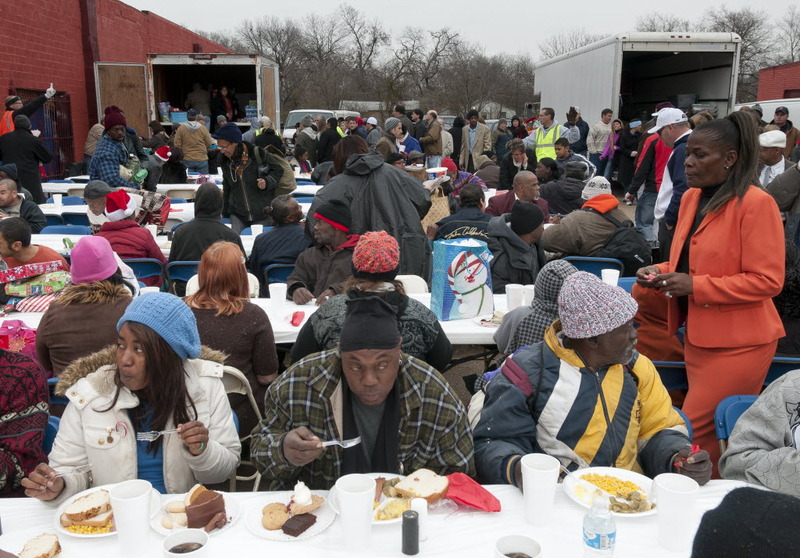 “Taking this case to trial was difficult because the City has undertaken many positive programs that aim to help the homeless population of Dallas – in this instance, though, the City did not consider how our clients would be burdened by the numerous requirements for sharing food with homeless individuals,” wrote attorney Andrew Newman. IJT: What was the most challenging or surprising aspect of the case for you? “I think one of the most challenging aspects of the case was ensuring that our clients’ compelling stories came through while also making the necessary legal and factual record. This case involved our clients’ intensely personal religious convictions, and we wanted to make sure that their beliefs and their stories were never overshadowed by our more technical efforts to prove their case,” said attorney Lizzy Scott. “As recently as last Sunday one of our clients was out sharing food with the homeless near downtown, and he was told [by police that] he wasn’t allowed to do it in the Central Business District,” Scott told the Dallas Morning News, which covered the case. “Now he’s very excited to get back to the ministry,” she added. IJT: What do you have to say about partnering with NLCHP and supporting our overall mission – to serve as the legal arm of the movement to prevent and end homelessness in America? “It was great to work with NLCHP and help continue this important work—our trial team benefited from NLCHP’s national perspective and insight on this emerging issue of sharing food with homeless individuals in America’s cities,” commented Andrew. At a time when more emergency food needs are going unmet, cities should be facilitating the efforts of charitable organizations to meet these needs, not infringing their rights to provide food as part of their religious mission. We are pleased that the Court has vindicated these important rights and grateful to our partners at Akin Gump for their excellent pro bono service. This entry was posted in Civil Rights, Hunger and tagged Akin Gump, criminalization, Dallas, food sharing, pro bono, religious ministries. Bookmark the permalink.